Choose an old wool sweater with a nice design. 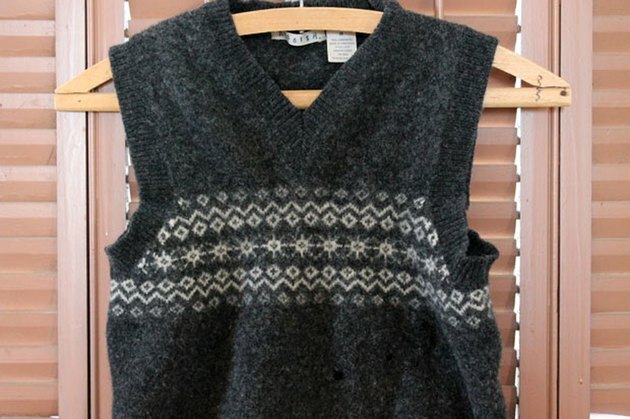 Lucky for me, someone donated this wool sweater vest to the thrift store because he or she washed it and thought it was ruined. 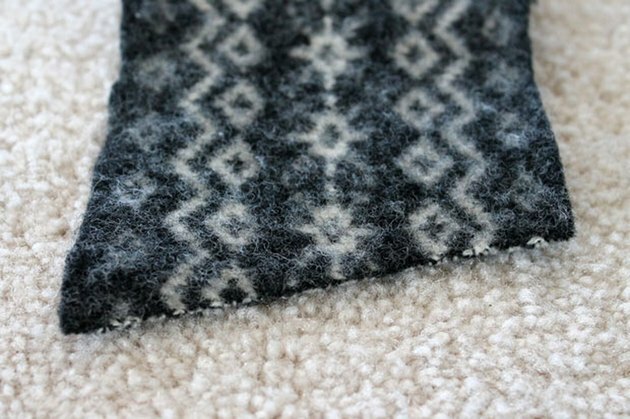 It is 100 percent wool, which “felts” when washed and dried. The fibers become tight and won’t fray. 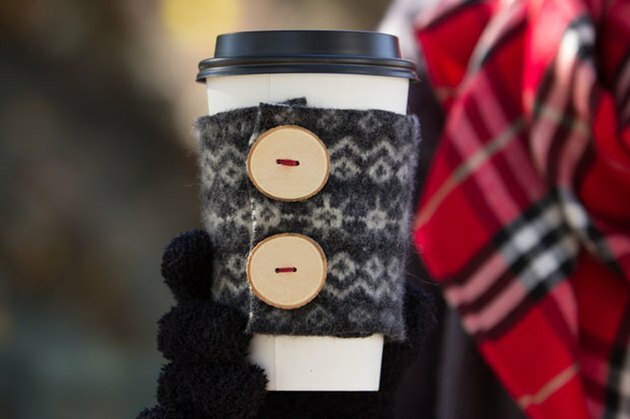 Perfect for a cup cozy. 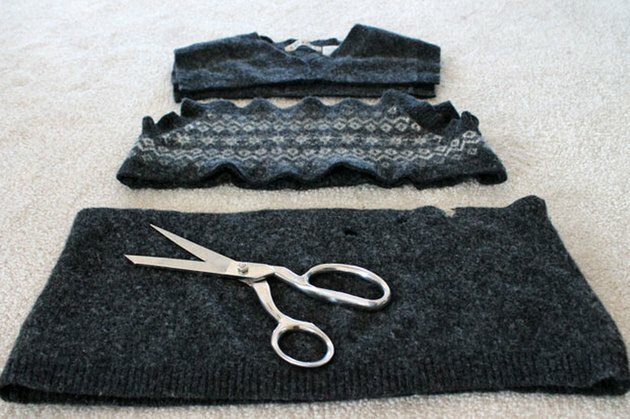 Cut a 3-inch by 10 1/2-inch rectangle from the design of the sweater. If your cup has a larger circumference at the top, cut one of the short ends at an angle so the top edge measures 10 1/2 inches and the bottom edge measures 9 1/2 inches. Choose two coordinating buttons. I used some small round pieces of wood that my ruggedly handsome husband cut from a cherry branch for me. 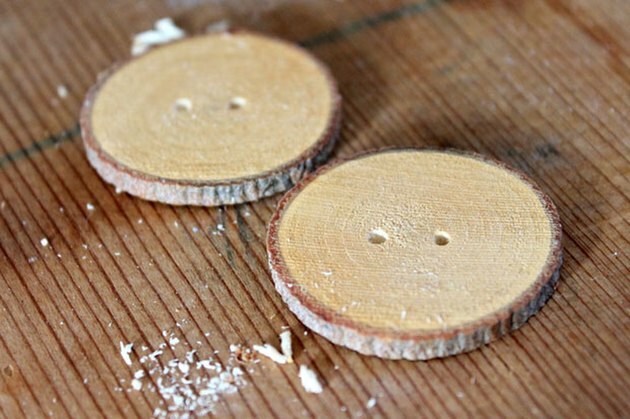 I drilled two small holes in each to create a wooden button. 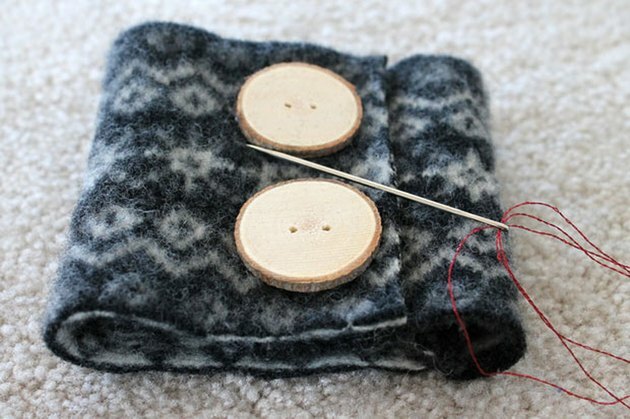 Use thread or yarn to attach the buttons to the cup cozy where the wool overlaps. Sew through both layers of wool. 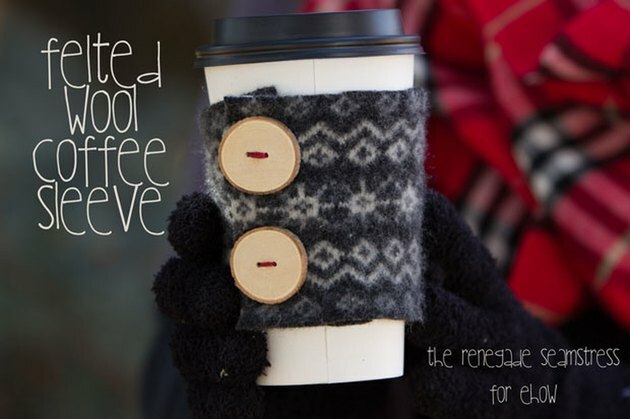 Slide the cozy over a cup of your favorite winter beverage to stay snug and comfy warm both inside and out!